Life goes by so fast. It's so very important to document important times in your life and photographs are a timeless way to save those precious memories. In these modern times, there are so many fun ways to document your memories. You could create a photo book, for instance. It's a digital-turned-physical scrapbook. Instead of glue, scissors and paper, make your creation online and have it shipped directly to you! If you prefer the traditional approach, then photo prints are for you. Prints come in all sizes and can be picked up at the store or delivered to your home. Another interesting idea is to create a canvas photo. Turn your photos into works of art! Proudly display your beautiful pictures in your home or office. Many sizes are available to choose from. 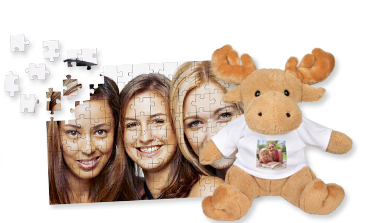 Why not take your treasured photos and make gifts out of them? Think about mouse pads, mugs, snow globes, stuffed animals, posters & much more. Jessops Photo is a great place to find all of these things and more! Check them out today! This post contains links to Jessops Photo. All opinions are my own.